We have started a tradition here at Black Sheep...every quarter of the year we celebrate the shift of the Equinox/Solstice by doing rounds of Surya Namaskar as a community. We are inviting all levels of yogis to join us once again as we practice in Seva (selfless service) to help raise funds for the Sean O' Shea Foundation. Stay after for our Holiday Pot-Luck Party! If you can't make it to class be sure to stop by at 7PM for the party after. Be sure to bring a favorite snack or libation to share! In the Summer and Winter we do 108 (in Spring and Fall we do 54). The significance of 108 has long been debated and there has never been an exact answer given for the significance but there are many connections to the number 108, including 108 being the number of beads in a mala necklace used for counting mantra in meditation practices. It is also said that the sun is 108 times the diameter of the Earth. No matter the meaning, devotion to 108 Sun Salutations is definitely going to be a challenge. That’s 108 Chaturanga Dandasanas! Modifications, childs pose, and water breaks will be offered and everyone is welcome to practice at their own level. So come join your favorite "Good Vibe Tribe" teachers as they to lead you thru this moving meditation together in community. 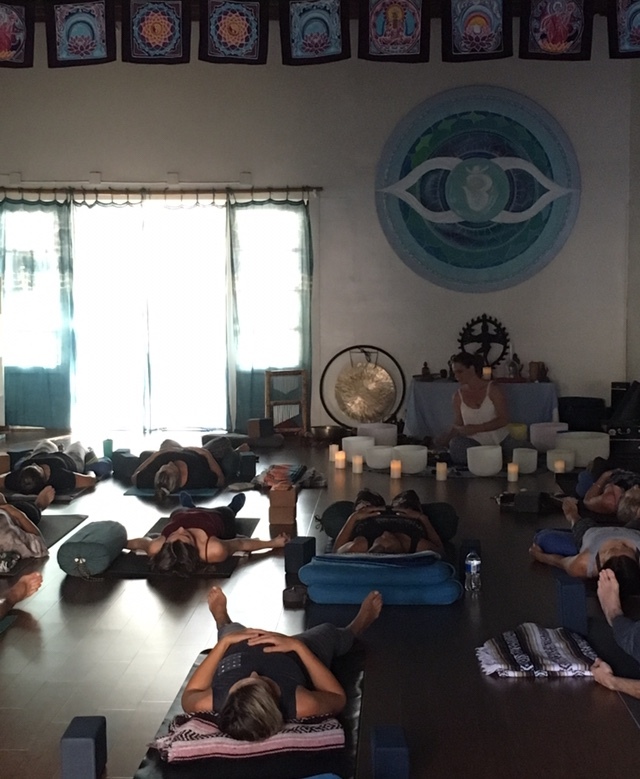 We will also be offering loving hands-on assists in Savasana.